The Martello Flock are farmers by trade and can be found working away in the fertile fields of Plumpfeather Kingdom. They were eager to defend their farms and kingdom when they heard of Dudley’s evil plan. 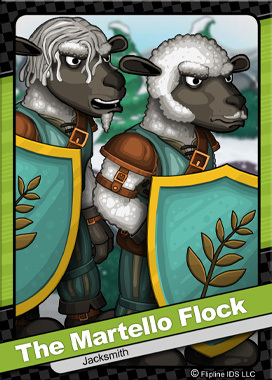 Without any combat training, these fearless sheep offered to shield the warriors during the dangerous battles.